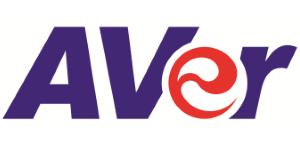 Founded in January 2008, AVer is a leading developer and manufacturer of education technology and visual collaboration solutions. With a large portfolio of products ranging from visualizers and mobile device charge carts to HD video conferencing systems and conference cameras, AVer’s products have a meaningful impact on the way we communicate and educate. At AVer we are determined to provide smart solutions that don’t just satisfy the needs of our customers, but exceed their expectations as well. AVer’s headquarters is located in New Taipei City, Taiwan. We currently employ nearly 500 people across the globe, with professional R&D staff representing 30% of our worldwide workforce. We have used this wealth of technical and design expertise to obtain over 195 patents for a comprehensive range of technologies. AVer has become a successful creator of smart solutions by satisfying clients through technological innovation and excellent quality. To date, AVer products have received numerous international awards, such as the iF Design Award and Red Dot Award from Germany, the CES Innovation Award from the U.S., the Worlddidac Award from Switzerland, the Taiwan Excellence Award, and the Good Design Award from Japan.